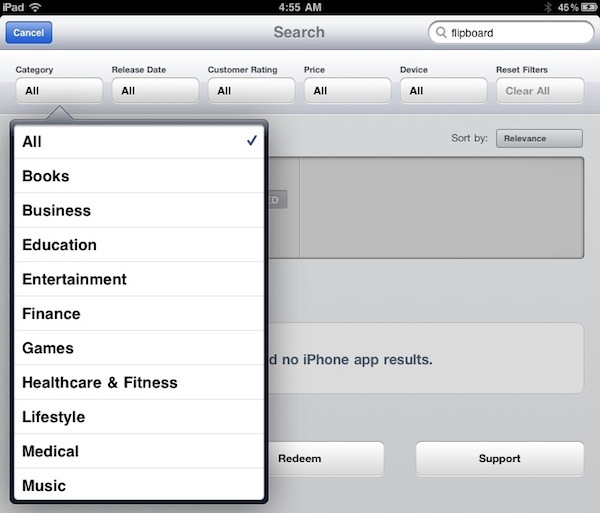 Looks like Apple rolled out a new neat little feature in the iPad App Store: search filters. 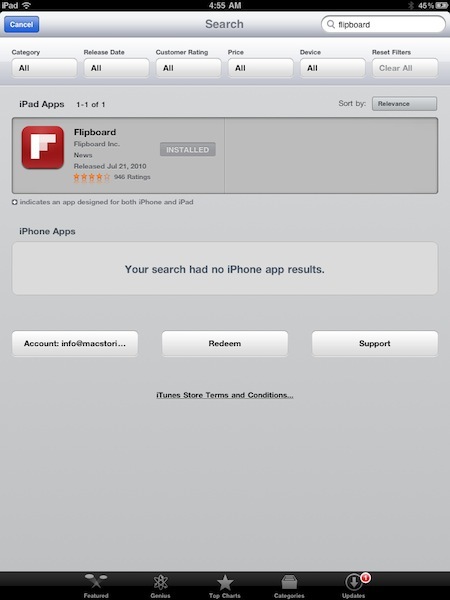 When you browse the App Store from your iPad (mine is running iOS 4.3 beta, but I guess the change is live for everyone) and start searching for an app, five filters will appear under the top bar: category, release date, rating, price and device. Filters can be adjusted from a popover, and there's also a button to clear all filters.